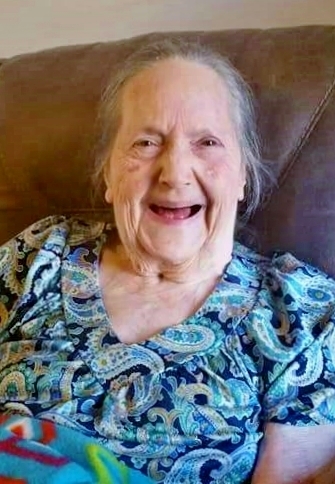 Mrs. Augusta Mae Seabrook, 86, of Chatom, AL passed from this life Friday, August 17, 2018 at her residence. She was born in Chatom, AL on Friday, March 4, 1932 to William Blake Moss and Mary Jane Moss. Mrs. Augusta is preceded in death by her father, William Blake Moss and mother, Mary Jane Moss; sons, Wendell Richerson and Devoid Richerson. She is survived by her husband, Gayle T. Seabrook, Chatom, AL; daughters, Linda Richardson (Bill), Chatom, AL, Mary Olene Adams, High Springs, FL, Cecil Kay Kedem(Jacob), Alachua, FL, Janice Reinertsen (Eric), Ft. White, FL; sons, Terry Seabrook (Lenora), Franklinton, LA, Karl Richerson (LaDoanna), Waynesboro, MS, Jeffrey Seabrook (Charlene), Louin, MS; 25 Grandchildren, 39 Great Grandchildren, 4 Great-great Grandchildren. Visitation for Mrs. Augusta will be held from 11:00 AM to 12:00 PM, Monday, August 20, 2018 at Chatom Church of God, 11788 Central Avenue, Chatom, AL. Funeral Services will follow at 12:00 PM Monday, August 20, 2018 at Chatom Church of God with Naomi Brown and Terry Seabrook officiating. Interment will be in State Line Cemetery.